On Land and on Sea features the lives of women in yachting, and also as workers, caregivers, and sportswomen over the course of the twentieth century. This beautiful book is illustrated with extraordinary photographs from the Rosenfeld Collection at Mystic Seaport, as captured by the Rosenfeld's photographic eye, and reveals a dimension of the collection that can be mined for further historical research. Margaret Andersen Rosenfeld is the Edward F. and Elizabeth Goodman Rosenberg Professor of Sociology at the University of Delaware. Drawing on her expertise, the author includes interpretive essays to accompany the images, illuminating the social and historical context that frames the photographs. 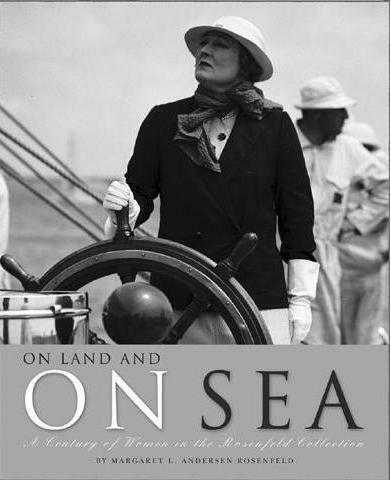 As the daughter-in-law of Stanley Z. Rosenfeld and an expert on Women’s Studies, she is uniquely situated to present this book showcasing the images of women in the Rosenfeld Collection.